Morocco is an exciting destination wooing tourists from all corners of the globe to its elusive magic and exotic mysteries. Her charms will leave you perplexed yet entertained with lingering memories of kids playing football in dusty squares, turbaned men selling crafts in the local souks and dining on spicy cuisines on the street cafes of Djemma El Fna. It is also extra ordinary rewarding with various attractive holiday options such as relaxed beach holidays in Essaouira, historic and cultural experience in the cities of Rabat and Fez; adventure holidays up the Atlas ranges staying in accommodation near Marrakesh, desert camping in the harsh Sahara desert and exotic city breaks in Morocco. Whatever destination or type of holiday you choose in Morocco it is the nature of the place that penetrates deepest into your skin. It is so close to Europe yet so different with narrow winding alleyways, colorful tanneries and magnificent desert sandy dunes. It offers a great escape for any kind of break, from a Moroccan family holiday to a city break with friends. Botswana is a country where natural parks and vast private game reserves make up 40% of fenceless territories enabling huge herds of spectacular wildlife to roam freely in contrasting landscapes of breathtaking extremes. The vast Kalahari Desert plains attract animals of all kinds which have amazingly adapted to the extreme desert climate whilst the lush Okavango Delta offers relief to other herds who may find the Kalahari too hostile, the hippos, crocodiles, antelopes, zebras, lions and smaller animals thrive in the Okavango waterways. It is a country that has a huge number of animals as compared to humans but it is also rich in culture and history. More and more archeological wonders are being discovered; rock art, potteries, Stone Age tools and stone wall ruins which mean that human activities in this region have been thriving for thousands of years. Botswana offers a variety of experiences; from wetlands to dry lands and public parks to private parks. The accommodations in the parks are varied and exclusive whether you choose fixed or mobile lodges. Namibia is an expansive country with stunning landscapes and a variety of wildlife parks that give you the perfect safari experience. It boasts of Africa’s largest park the Namib Naukluft Park which is endowed with magical landscapes whose stunning appearances cannot be easily put in simple words. The ochre colored Sossulvei sand dunes are the highest in the world and have been accumulating for ages, in fact geologist have suggested that they could be possibly the world most ancient. The Etosha national park is made up of desert plains, savannah and woodland areas that are thriving with spectacular wildlife. It is one of South Africans most important reserve with magnificent diversities of nature and perfect for Namibia safari holidays. There are various pans and waterholes in the park that fill up with water in the rainy seasons and they attract all sorts of animals ranging from birds to the ‘Big Five’. 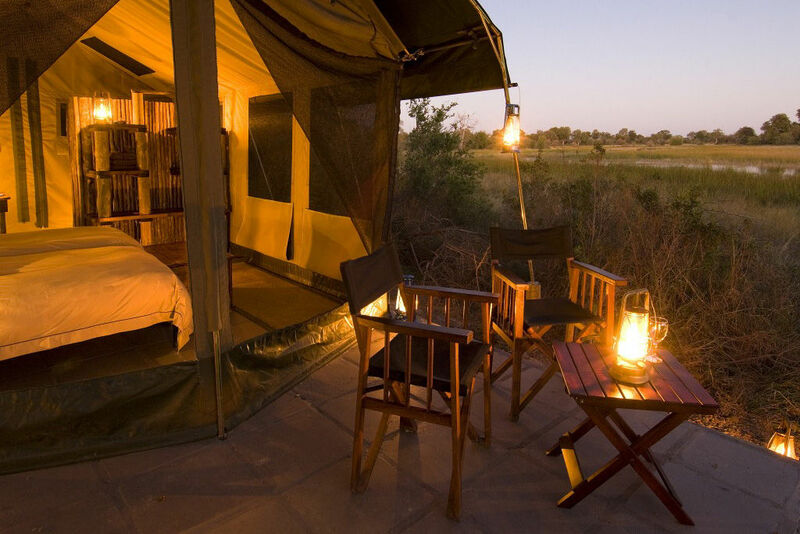 It is a place that will give you wonderful safari experiences that will remain memorable for years to come.